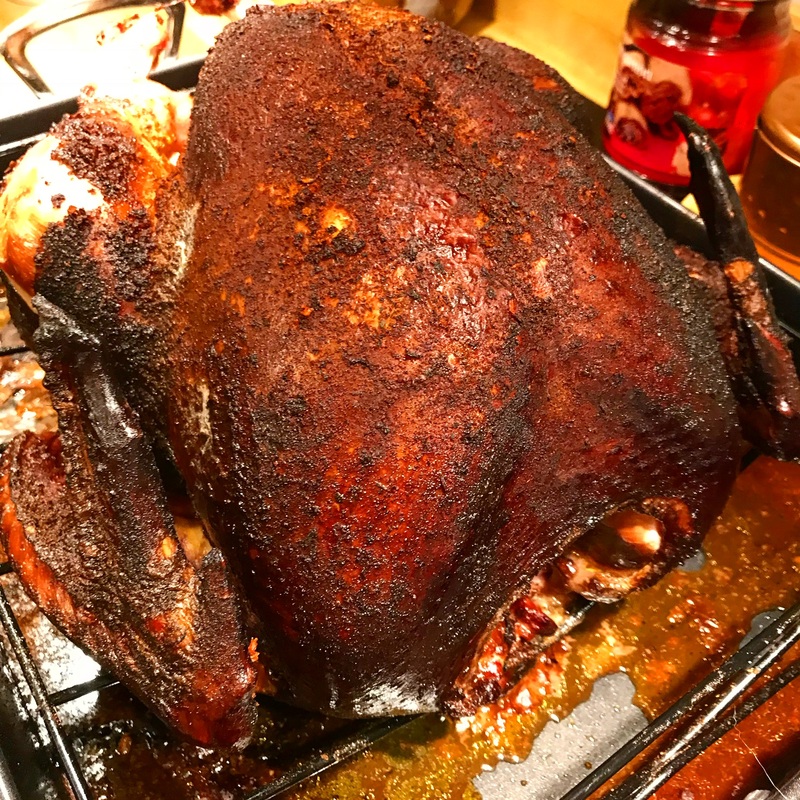 Look at this amazing smoked turkey! Absolutely delicious! I know this is going to sound crazy, but I still prefer a roasted turkey over a smoked turkey when done right. I am able to get so many flavor dynamics out of a roasted bird than I am a smoked one. Alas, they are both fabulous and I’m extremely pleased with how this one came out. I smoked this bird ahead of the holiday so I could decide whether or not I wanted to smoke the turkey for Thanksgiving. I decided to roast the bird for the family, but this delicious beast will be come lunch for days!